The Kilchis river sustains healthy runs of both chinook salmon and steelhead. 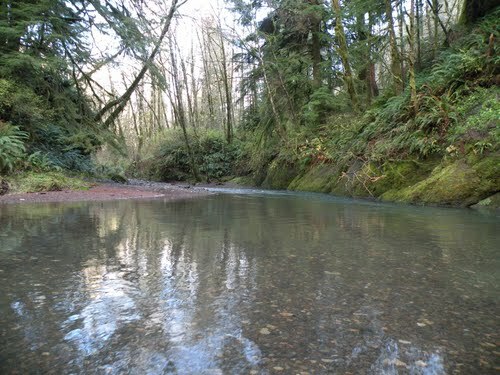 Although Chum and Coho run this river in the fall retention is generally not allowed. There is however plenty of chinook and steelhead to make the trip worth while. Through the summer and into the winter steelhead are abundant and chinook enter the river in the fall. Bank fishing access in however limited, but enough available if you don’t mind having company. Boat traffic is most common in the tide waters with most of the bank fishing access on the mid to upper portions of the river. To view our Kilchis river Fishing maps see our Kilches river fishing access map below. Steelehad fishing in open year round on the Kilchis river and Chinook April to July and August to September. This fishery generally allows 2 fin clipped chinook salmon or 2 fin clipped steelhead per day. Barbless hooks are required when fishing for salmon or steelhead on most Oregon waterways. Natural bait scents tend to be the most effective like herring, sardine, or anchovy also salmon eggs, or shrimp scents work as well. No significant fishing pressure on the upper. Eye protection still recommended in the hot spots!